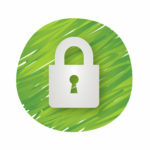 Really Simple SSL Social is a complete social sharing solution for your website. The plugin works like any other sharing plugin, with the added bonus of being able to recover “lost” likes after moving to SSL. The plugin currently supports the following social services: Facebook, Google+, Twitter, LinkedIn, Pinterest, Yummly and WhatsApp. Recovery mode: likes for your current widget, which often works, but sometimes Facebook just shows the https likes anyway, whatever you do. Built in buttons: using the built in buttons enables the plugin to do the share retrieval over the API for both http and https, then showing these in the buttons. Hybrid: Use the social networks native sharing buttons with share counts retrieved from their respective API’s by Really Simple SSL Social. AccessPress (note, a minor code edit is needed in the AccessPress plugin. If AccessPress does not apply this, you need to do this yourself. Besides these, if the widget or plugin uses the original social code, it will work. Facebook can be a bit erratic when it comes to the number of shares it returns: sometimes the number of shares for https will be returned even when the http url is passed to Facebook. If that happens, there’s only one way to retrieve the original shares: by retrieving them directly through the Facebook api. That is why we have added a native share buttons feature that is consistently recovering shares directly through the Facebook, Pinterest and other social media api’s. In some situations the https likes are returned when the Facebook widget requests the likes for http. When this happens the only solution is to directly retrieve the likes through the Facebook API. As this won’t work with custom widgets (I can’t predict where or when the likes are inserted for other widgets), I have created a custom sharing buttons option. These can be used instead of the sharing widget you currently use. Because the buttons are generated by the plugin itself, it can retrieve the likes itself. The plugin will retrieve both http and https likes for the url the buttons are shown on. This is a pretty stable method, as it is not dependent on other sharing widgets, and seems to bypass even the issue the native Facebook widget has with retrieving the correct likes. Currently you have three options: a shortcode, you can place anywhere: rsssl_share_buttons, the option to append the buttons to each post, page, or any post type you want and the ability to add the share buttons as a Gutenberg block. Because the social widgets consider https://domain.com as a completely different domain from http://domain.com, your likes that are registered to http://domain.com will be lost after the move to https. Really Simple SSL social recovers likes by keeping the URL for the widget on http for the pages that were published before you activated this plugin, and will leave the data-href on https for newer posts. This way, your website will gradually move to https for your likes as well. 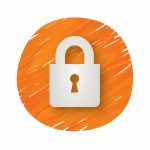 This plugin will only work in combination with Really Simple SSL, as it uses a filter defined by that plugin. One year updates and support. To continue to receive support and updates, all licenses must be renewed after one year (not compulsory). The plugin can both be used as an add-on for Really Simple SSL and as a standalone plugin. Go to plugins, add new, upload. Upload the zip file you downloaded from really-simple-ssl.com. The date should be entered in yyyy-mm-dd format. This is the date used as switch date between http and https. Posts published before this date will use the http domain for the likes, posts published after this date will use the https domain for the likes. Use built in sharing buttons. If you register on opensharecount.com, you can also retrieve your twitter shares. Just register your site, and the plugin can retrieve your shares. The built-in buttons can be completely customised by enabling the ‘Custom CSS’ option in the plugin settings. The custom CSS options allow you to add CSS to your buttons directly from the plugin settings. Fix: recovery mode for homepage was checking for blogs overview page as well. Tweak: removed og:url option, now default enabled. Notice: please check the selected social services after upgrading! Tweak: added the option to insert custom share buttons from Really Simple Social, which will retrieve likes from both http and https url. Changed retrieval of post date to unix time. Added support for several other share plugins/widgets.